New look accomplished! 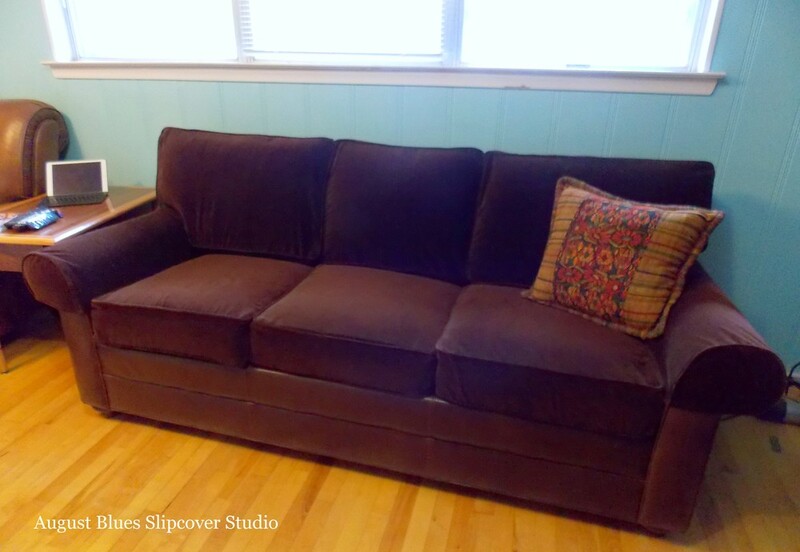 The slipcover is a little rumpled from being transported - this project was accomplished via an on-site pin-fitting, with construction happening at my workroom - but the rumples will smooth out over time. 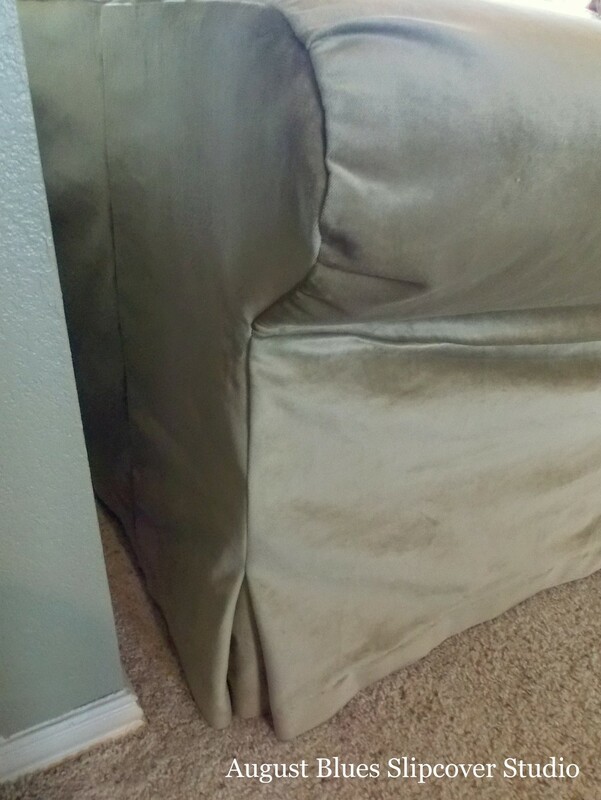 The fabric is from Famcor Fabrics (fabric here) and it's a heavy duty polyester velvet. 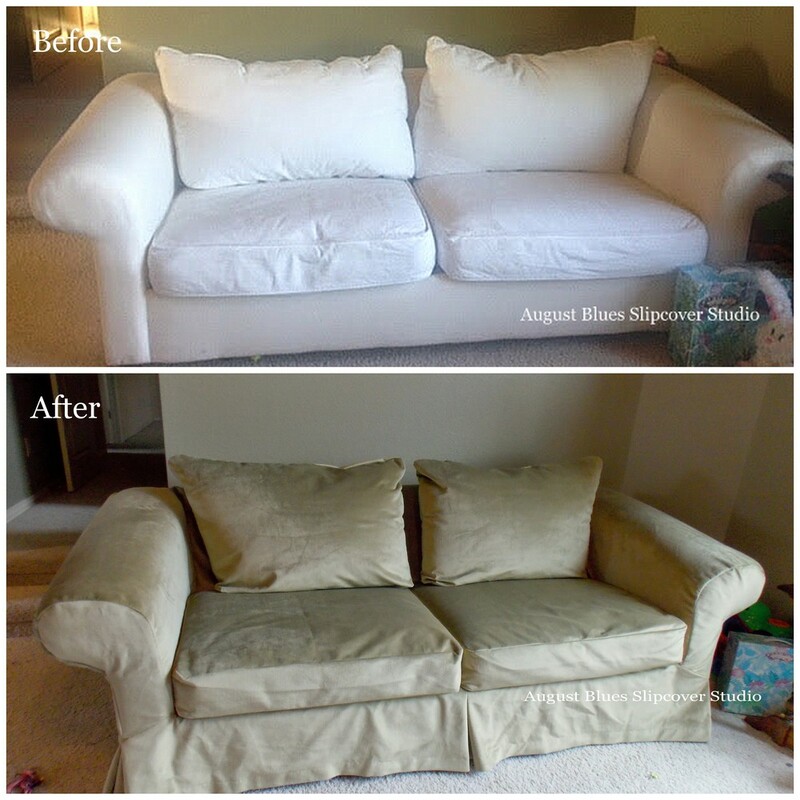 She has also used this fabric for the upholstery on her living room sectional and found that spills are not absorbed and are, therefore, easily wiped up - perfect for a busy family household! The sturdy nature of the fabric lent itself very well to the simple design that my client was looking for - a waterfall skirt and no piping. 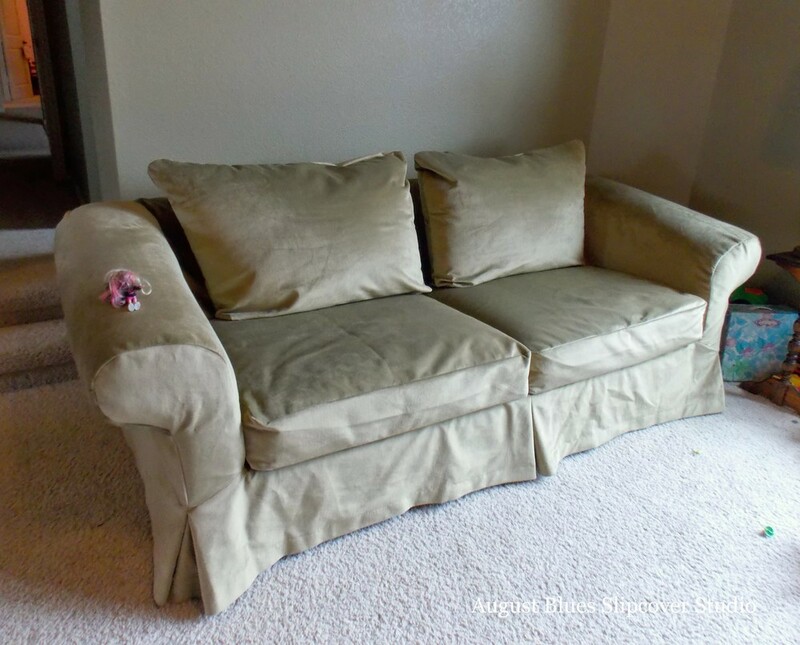 The fabric was soooo soft, it was hard to resist petting it ;) And I can't wait to see the finished space - my client has a collection of botanical prints to go on the wall above the couch and French script pillows to accent the new slipcover. In the words of her young daughter "Perfect!" What fabric would you choose for a playroom?